Everyone has a love/hate relationship with SXSW. We’re all so happy at the beginning of the week only to hate life come Monday. We here at ATH want to provide some recaps from our week of music and we’ll be doing that with some personal reflections from each member of our staff. Follow the jump for more from me. 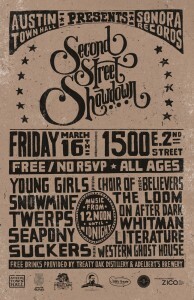 It’s that time again folks, time for SXSW and another awesome show by yours truly here at ATH. This year we’re teaming up with our amigos over at local label Sonora Records to bring what is arguably the best SXSW show around. We’ve got a sweet lineup that’s been worked on behind the scenes for months now with some equally incredible local sponsors. Here are the deets on the show after the jump. Not too long ago, some of our amigos in Austin concluded that they were fed up with the current state of the music industry and decided to start a record label to call their own. From their collective minds came promising new record label Sonora Records with the plan to “help make music, one record at a time”. 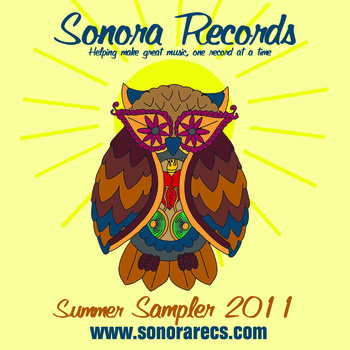 To celebrate their beginnings, the guys at Sonora have put together an 18 song sampler featuring some of their talent along with a few tunes from Austin’s finest up and coming artists. 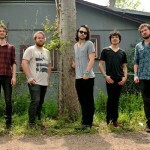 ATH favorites, The Bubbles, Quiet Company, and Guns of Navarone make an appearance with new faces like The Couch, On After Dark, and The Handshake sharing new music. 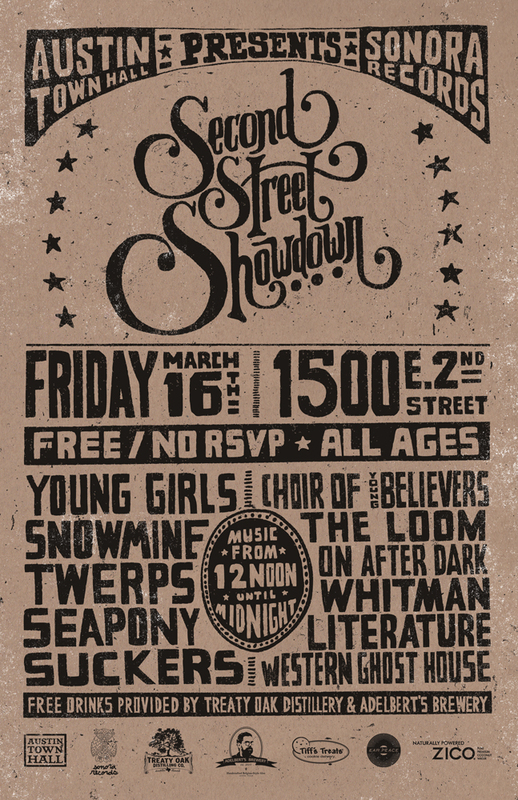 Also making an appearance on the sampler are old friends Whitman, who are premiering new song “NW Thurman” from their upcoming 2011 LP Weekends. 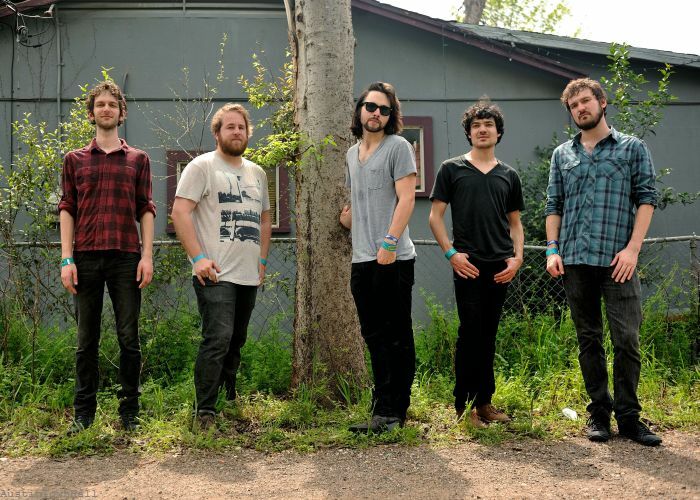 If this new summertime jam from the Austin boys doesn’t get you moving, then you must not have a pulse. Whitman have also made new anthem like tune “Dead Dog Days” available for free download over on their bandcamp page for a limited time. 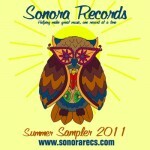 You can also say hi to Sonora Records on twitter or download their new sampler over on bandcamp.